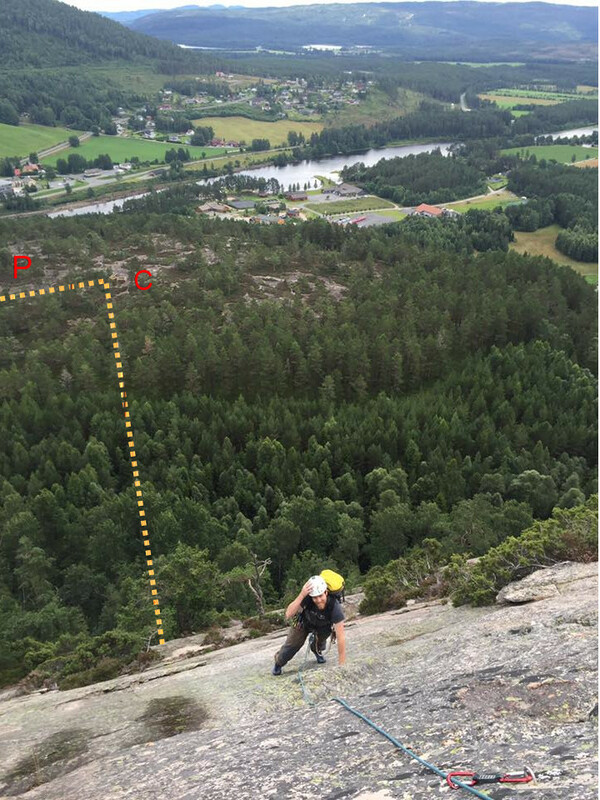 How to find the multipitch route in Åmli at Trogfjell. 11 pitches, 6- grade at the crux, note that several pitches are relatively short in length, that’s why there is 11 pitches, and you can easily walk down the trail from the top when done climbing. 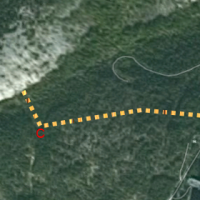 I’ve been climbing a lot at ‘Trogfjell’ in Åmli in South Norway, I heard about the route from a climbing buddy some years ago, I found no info about it, and others have asked me recently as well about it, so I decided to write a bit about it and show where to find the start of the route. First you simply drive to Åmli ‘city’ center, if you come from south (Kristiansand \ Arendal) then you drive through the city center and drive across the bridge over the river, there is really just 1 bridge there, so you cannot miss it. When you are over the bridge, go to the right about 50 meters, park by the museum there (white building with parking lot). When you have parked there you’ll see a big sign straight across the road which says ‘Trogfjell’..
That is where the trail starts. Pack up your gear and head up the trail, follow the path until you reach 3 small open cabins, when you see those you will have to walk straight towards the mountain, there is really no obvious trail there, so just try and find the best path through the brush. You will then reach a steep incline with boulders, and you’ll see the bottom of the mountain as a clearing, that’s where the route starts. Sorry for being a bit vague, but there is honestly no obvious way of finding it. I have marked a map with P for parking, and ‘C’ for cabin (more like a open shelter type thing). There is really just 1 bolted route there, its something around 6- at the hardest, its not steep, but at some places it’s really not much to hold on to, bolts are frequent, and some pitches are really short, so it’s a very good place to go if you are trying your first multi-pitch route. Here is a view from the mountain, that helps a lot to understand where it is located. This entry was posted in climbing on August 11, 2016 by Stig Atle steffensen.